MyMatics started in 2012 in The Netherlands and has a focus on new technologies. 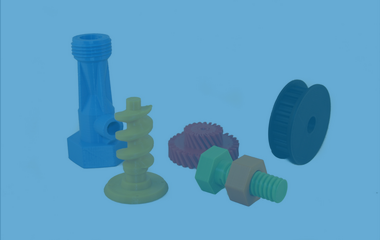 The tremendous advancements made in the 3D-printing area have intrigued us for several years. We are passionate about 3D-printing and we are convinced 3D-printing will change our everyday life. Making this technology available for everybody is our mission now. To achieve this goal we build and learn together with our user community. Making 3D-printing available for everybody, together! 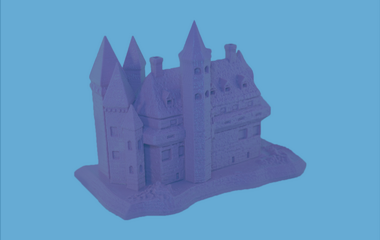 If you are a maker, a 'maker-in-the-making', a 'creative-mind', an experienced 3D-printer user, 3D-designer or if want to take you first steps into the 3D-printing world, we are looking for you! The Mamba3D is THE ideal machine to start exploring the wonderful world of 3D-printing. We made a modular machine, just to make sure you are always up-to-date. Whether you start off with the basic Mamba3D printer or with the extended Mamba3D v2.0 printer, you'll always have the possibility to get your modular add-ons and expand your current machine. This way you'll keep track in the fast changing development of 3D-printing. The Mamba3D is an open source 3D-printer. 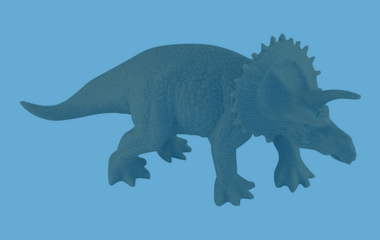 We invite all our customers to share their experience with the Mamba3D printer. Develop and share add-ons, think with us in the next steps and become a part of our company. Check out our webshop to order your Mamba3D straight away or scroll down for more info. 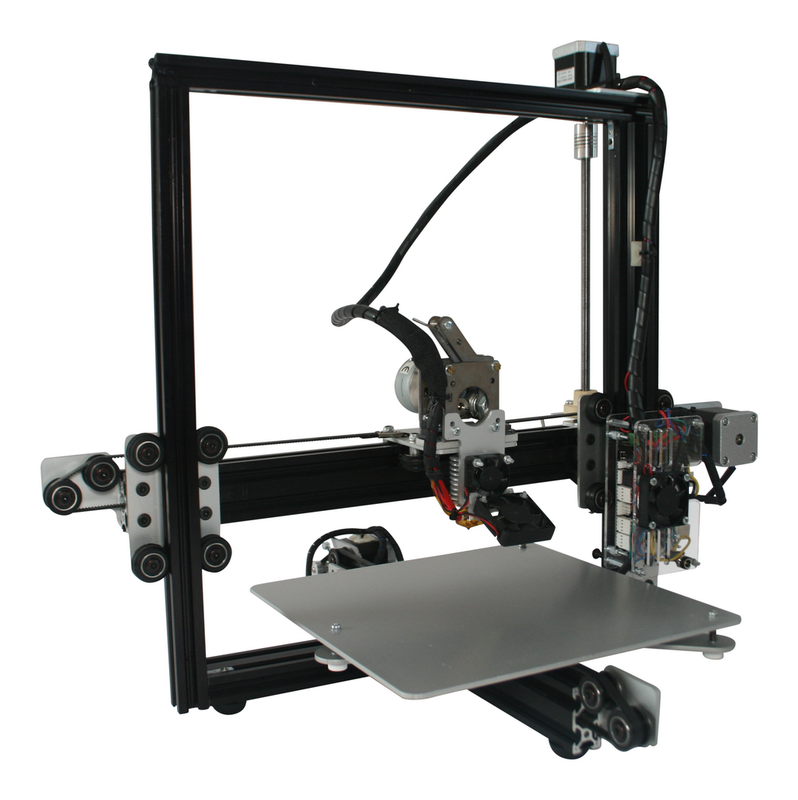 We have build a 3d printer that is accurate, reliable, easy to use and affordable. At MyMatics we believe in setting high standards for our products to give you the best results. Todays 3D-printer market consist out of too many mediocre types of machines. With the Mamba 3D printer we set ourselves apart from these mediocre printers. You can only experience the wonders of 3D-printing at its best, when you get the highest quality 3D-printed parts out of your machine. If you are looking for a printer which is capable of producing high-quality parts for a reasonable price, the Mamba3D will definitly meet your requirements. The printer is built-up mostly out of metal parts. The frame is constructed out of black anodized aluminium profile. All the sheet-metal is blank anodized aluminium. By using all metal parts we achieved to get you a durable, robuust and rigid printer which you can enjoy for a long time. 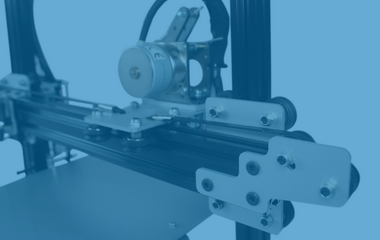 For the extruder direct drive system, we engineered a custom easy release system. 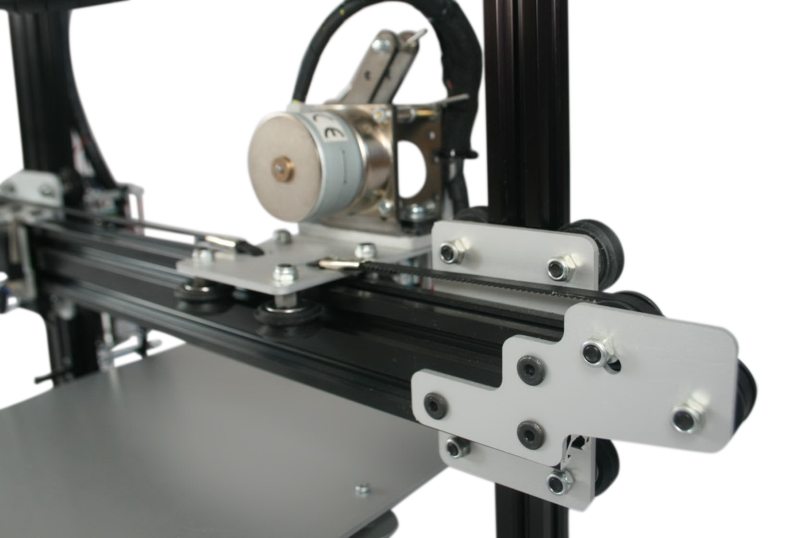 With this system you can change filament in just a matter of seconds. 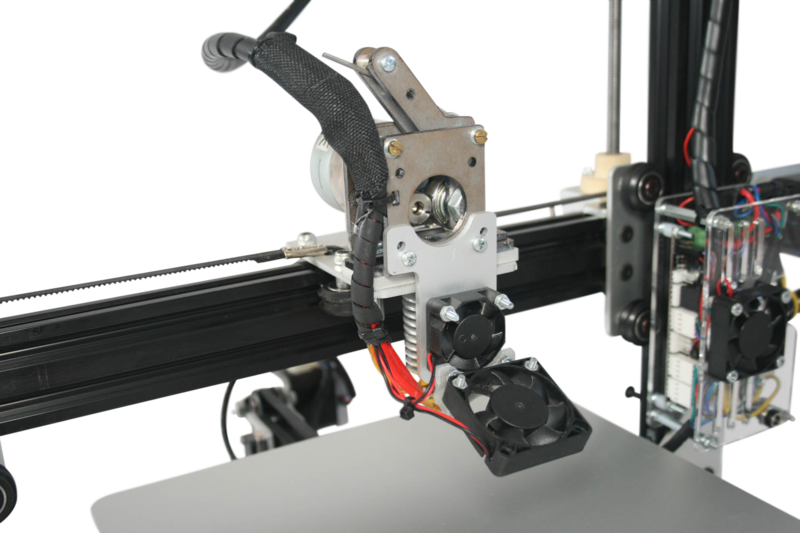 Simply pull the lever, swap filament and start printing: A big plus compared to other direct drive systems. The hot-end is completely produced in metal. This way you can reach high temperatures if needed. 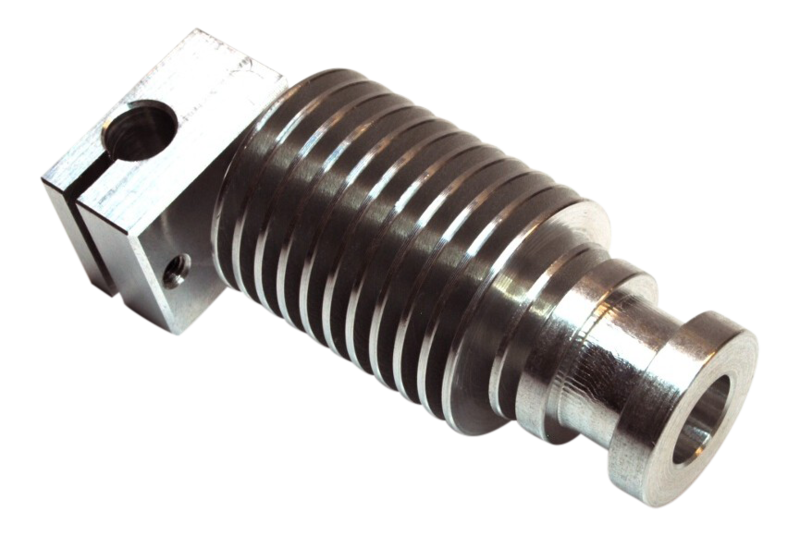 The hot-end type is a proven technology and is used in many applications already. Together with the complete construction of the Mamba3D capable of producing high quality prints. 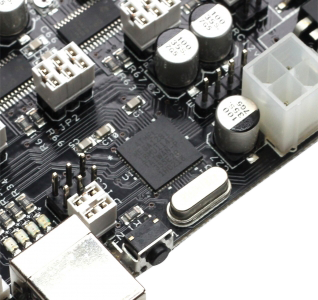 The electronics is a single circuit board with integrated stepper drives. The electronics are prepared for any future upgrades like adding a display, SD-card capability and a heated bed to your printer. Standard connectors are provided for easy assembly of all electronics on the printer. We couldn't have done it without our backers! In 2014 we successfully completed our Kickstarter campaign. With the help of our backers we managed to get things of the ground. We would like to thank all of our backers with the Hall of Backers. If you want us to keep you posted about news on the Mamba3D printer, just fill in your email address below. ©2014 MyMatics. All rights reserved.